I've been very busy indeed the past month with a big refurbishment where I work, lots of days out and Martyn's birthday. I've not had chance to post everything on there so I've got a very photo heavy round-up post today to let you know what I've been up to recently. 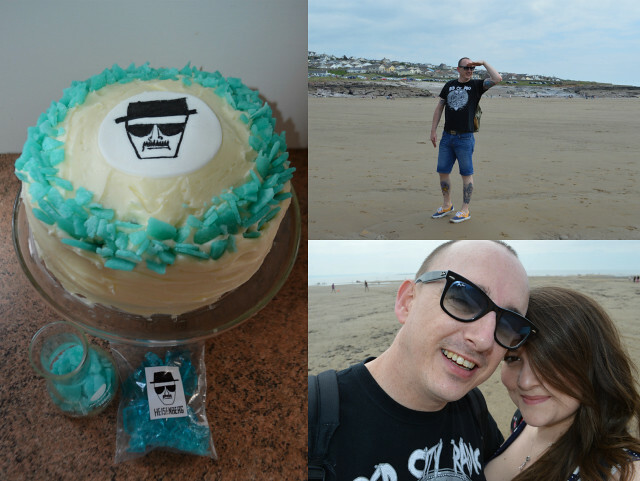 On Martyn's birthday weekend we headed to Tintern Abbey, Ogmore beach and I made him a Breaking Bad cake. I made the cake on a boiling hot day and trying to get the icing to not melt everywhere was such a nightmare. The cake tasted so good though and was bright blue inside, would love a huge slice right now. 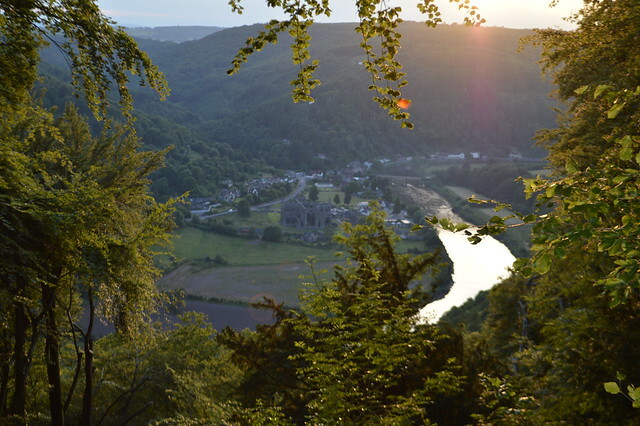 Martyn and I loved our first trip to Tintern Abbey so much, we decided to head back at night and explore the area more and walked up to Devil's Pulpit for amazing views. Our walk started at the beautfulTintern Abbey, headed along the western bank of the River Wye before crossing over the river and uphill on wooded paths towards ancient Offa's Dyke. The Devil's Pulpit is a limestone rock jutting out from the cliffs from where (legend has it) the devil preached to the monks below, tempting them to desert their order. 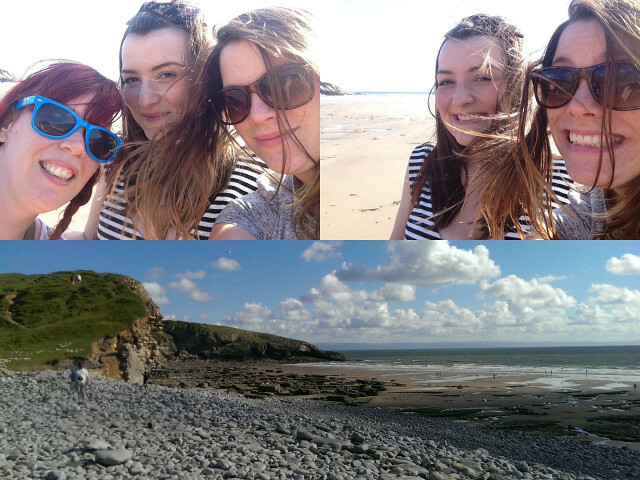 I headed to Southerndown beach (Bad Wolf Bay for Dr Who fans) with the girls to fossil hunt, paddle in the sea and see the location for a handful of Doctor Who episodes. Doomsday was filmed here and The Time Of Angels. I would love to head back here with my dog Sookie one day and swim in the sea with her, it was such a beautiful beach. 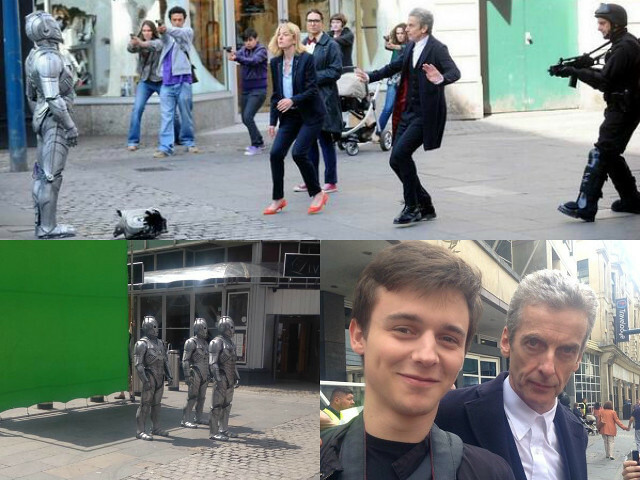 I had lots more Doctor Who fun when I went to watch the new series being filmed in Cardiff. I never tire of seeing Cybermen walking around Cardiff and my friend Julien got a photo with The Doctor, Peter Capaldi. The BBC are always using buildings where I work as locations for Doctor Who and Sherlock, exciting stuff. 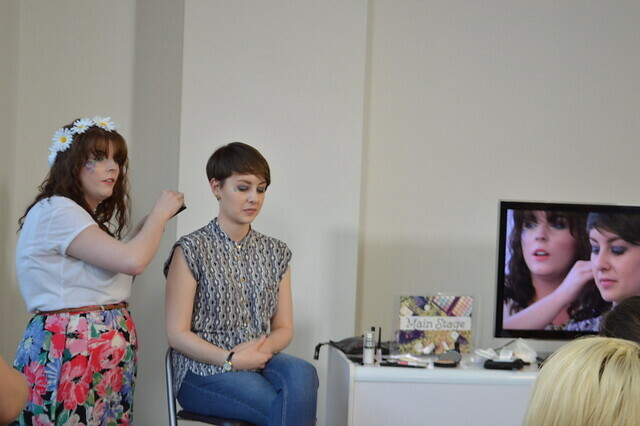 I also headed to a wonderful elf makeup event where we were showed how to create floral festival make up looks using a colourful palette and a whole face look with just five products. 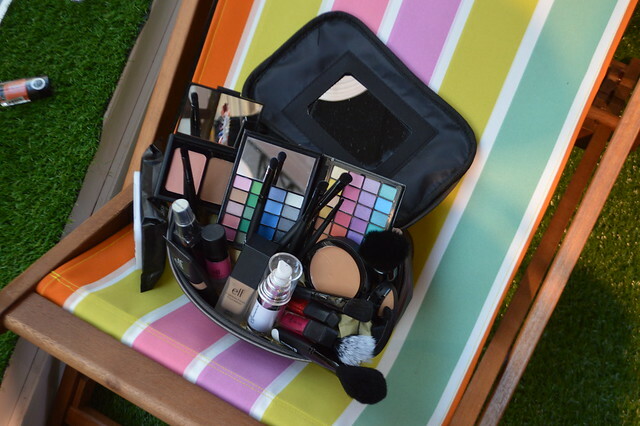 I enjoyed hanging out with Amy and Laura and learning a few things about make up because I'm certainly not a beauty blogger. I briefly feature in one of the elf YouTube videos from the event which has taught me that red lipstick doesn't suit me at all. Don't think I've ever been on YouTube before, would love to make my own content to put on there but no idea where I would start. I hope I've got equally fun things to report back on this time next month and I hope you have a lovely month too. That Breaking Bad cake looks so good! WHat a greta idea, I made my BF an Xbox cake! Looks like you've been having a whale of a time Gem! It looks like you've been having lots of fun! The cake looks amazing! It looks like you have been busy! I almost walked onto a Doctor Who set once and someone went nuts at me - oh how I'd love to be in Doctor Who! Firstly, thanks for your comment. So you live in Herefordshire I presume. I would love to live there!!! 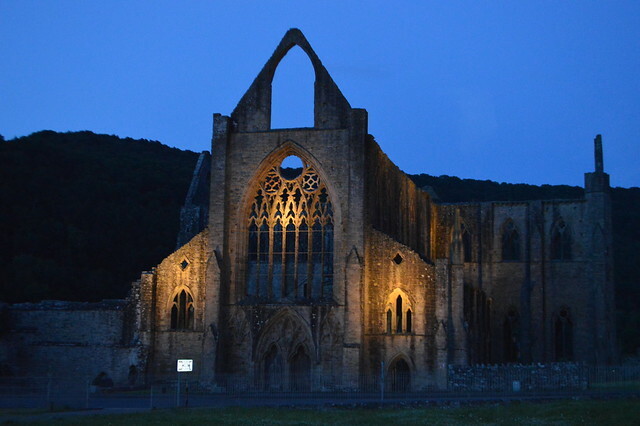 I love the look of Tintern Abbey! How cool to have seen Doctor Who filming!!! My Mum does extra work and she's done Downton and films but I know she would love to do Who!!! You seem to have had a busy time. Very close, I'm based in Newport which is perfect for exploring the border, Brecon and the coast. I love Dr who! Your so lucky! & Blessed! I love all the photos! Oh I do love Tintern - one of my favourite places, as well as Southern Down except every time I go there its always really really windy. How amazing is that cake btw!! !